It's Anna, back from Australia. 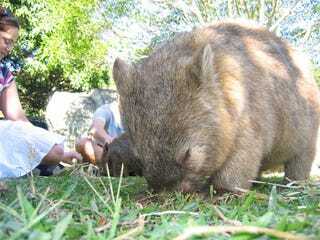 Here's what I got on my vacation: A nasty case of jet lag, 10 days of rain, some wicked hangovers, and this picture of a wombat. Click on tag for bigger pic.